Getting a credit card may seem like the ultimate opportunity to treat yourself with a little online retail therapy, but be careful. 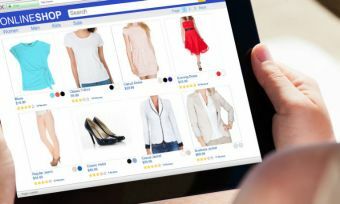 We discuss some tips and tricks to follow when online shopping, to give you financial peace of mind. When making payments or buying things online (online shopping), you can enter your credit card details manually into your site (which can be risky), or you can attach your credit card to a digital wallet such as PayPal (which offers additional protections). You will need to enter your credit card number, the full name printed on your credit card, and the CVV number on the back of the card, in order to use a credit card to pay for something online or to add your credit card to a digital wallet. A purchase is not complete until you have both placed the order and made the payment for that purchase. Using your credit card for online shopping is different to using a debit card. While a credit card accesses a line of credit from the bank (which must be repaid), a debit card accesses your transaction account and is used to spend your own money. Both credit and debit cards can be used to pay for purchases online, but as you’ll see below, it is safer to use a credit card for online shopping. The Card Verification Value (CVV) number is an extra code, usually a 3-digit number printed on the back of your credit card. As the CVV is not embossed (like the card number), the CVV is not printed on any receipts for your personal privacy. It is an anti-fraud measure that was introduced by credit card companies worldwide and is required when any online payments are made to stop you from entering your Personal Identification Number (PIN) into online payment services. Sadly, we know that credit card fraud is on the increase. But many Kiwis do their Christmas shopping online – so it’s important to know how to safely shop online using your credit card. Overall, it is safer to shop online using a credit card rather than a debit card because, if your credit card details are stolen, the card can be locked or cancelled easily. Also, the thieves only have access to your credit limit, not your life savings. 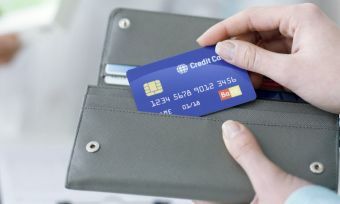 Credit card security measures have come a long way in recent years, with the introduction of microchipping, PIN numbers, CVV numbers, and more. All lenders have security systems that actively look for suspicious and fraudulent transactions on your credit card accounts, and you can check your monthly statement and query any transactions you don’t recognise. Before entering your credit card details online, always check to make sure the address is ‘https’ instead of ‘http’. The ‘s’ shows that site is using an encryption system, scrambling your information and making it hard for hackers to follow your details. PayPal is a good example of an online payment service. When you make an account, it hides your credit card details from the store/seller that you’re buying the goods and services from. This ensures extra protection against hackers, and fraudsters, and should something go wrong during the transaction process, you can be refunded with their Buyer Protection guarantee. They also refund your return shipping costs if you need to send something back. It is possible to make purchases online with a debit card; however, most fraudulent charges on credit cards can easily be disputed. 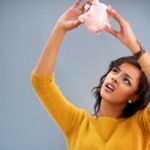 It would be difficult to dispute them with a debit card, as that money has come directly out of your personal savings account. And if you didn’t know, credit cards also offer zero liability guarantees for fraudulent transactions, so that you can’t be forced to pay for something you didn’t buy. Avoid making online purchases or other transactions on public computers or public wifi. The website browser on a computer often saves login information for you to use again next time, but it’s not just you who can use that info if you use a public computer or public wifi. Even if you’re extremely careful about logging out, it is possible for hackers to install keylogger programs to record your keystrokes, so that they would then know your usernames and passwords, giving them access to your digital world. If you do often make purchases on public wifi, invest in a VPN (Virtual Private Network) so that nobody else on that wifi network will be able to get your real details. Choosing a strong password for your online digital wallet or your credit card account is key when it comes to making online transactions. Be sure to use a mix of uppercase, and lowercase letters, as well as numbers, and symbols such as @ or !, and don’t use obvious words such as your pet’s name or your own birthday. Don’t use the same password for multiple accounts. That way, if someone figures out your password, they won’t have access to all of your other portals and personal information. Try to type in the website URL for the retail site you want, rather than Googling the store name. This reduces the risk that you’ll accidentally click on a fraudulent link, e.g. “Amazan” instead of “Amazon”. If a website looks outdated, poorly designed, or just plain shady, don’t use it. Never click on the links in emails you receive, even if you believe the sale or the company is legitimate. Always open up a new internet browser just in case, and go to the main website for that company. If you see any transactions you do not recognise in your monthly credit card statement, or you’ve lost your credit card, contact your bank or credit institution immediately to lock or cancel the card. Tell them you want to dispute the transaction, and ask them to do a fraudulent transaction investigation. Payment data in the browser on your phone and your mobile banking app data can be used by anyone who picks up your old phone. So before you trade in your old phone (or recycle it, or put it in a drawer) be sure to completely delete all apps and their data. Always keep your anti-virus protection software up-to-date. What’s more, if the web browsers on your computer or phone do not update automatically with the latest security “patches”, you need to update them manually as often as you can.